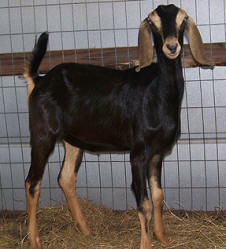 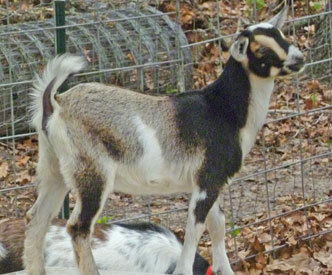 THANK YOU Mary Lou Pace, www.PaceCountryGoats.com, for allowing us to have this Adorable Girl! 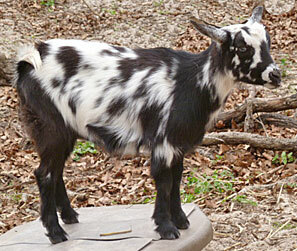 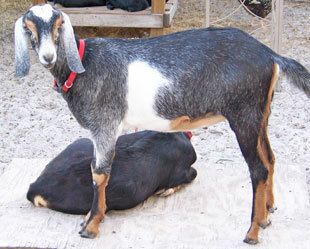 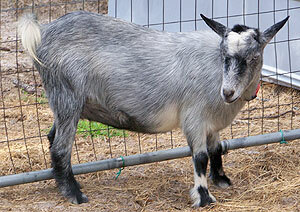 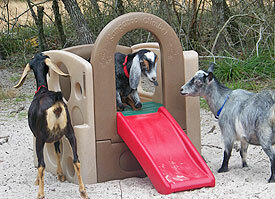 We think Nubians are beautiful, and are BIG cuddle bunnies, like the Nigerians. 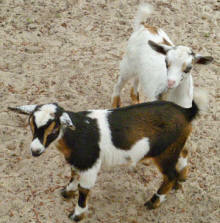 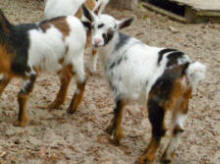 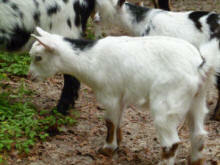 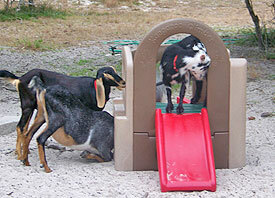 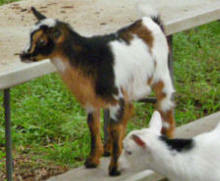 We have bred these leggy coquettes with our Nigerian Dwarf bucks to produce "MiniNubians" - goats with the friendly personality of the Nigerians and the good-looks, increased milk output and ease of milking of the Nubians, all in a compact package that requires less feed and is easy to handle. 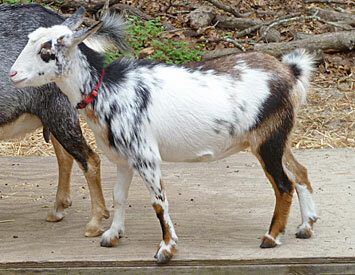 We believe we have produced the perfect small homestead animal in terms of temperament, milk production, ease of care and good looks.